Home / How To Flashing Allwinner A13 Tab With PhoenixSuit. 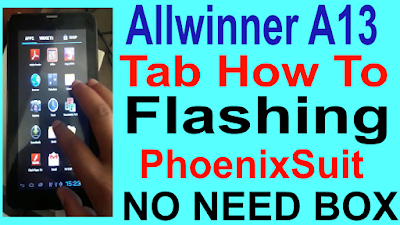 / videos / How To Flashing Allwinner A13 Tab With PhoenixSuit. How To Flashing Allwinner A13 Tab With PhoenixSuit. 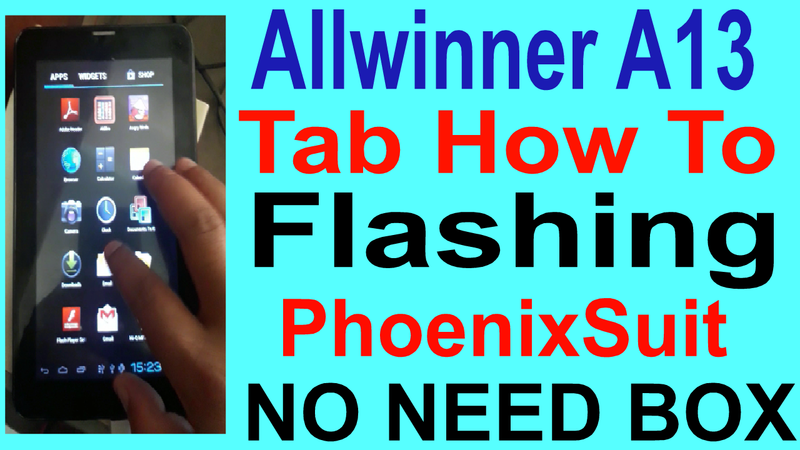 Allwinner A13 Tab Flashing Required File. 1# Download phoenix sute tool. 2# Download A13 Firmware file. How To Flashing Allwinner A13 Tab. 2# Setup phoenix sute tool. 4# Open phoenix sute tool. 5# Go to firmware tab and select img file. 7# Click volume up and connect usb. 8# Now click power button 5 time. 9# Now show your tab on tool. 10# Auto flashing process.click 2 time yes buttion. 11# Now flashing process few mins waiting.